The last time Kenny King was in New York City, the Pretty Boy Pitbull walked in as ROH World Television Champion and left empty handed. A shattered beer bottle eliminated King from a Four Corners Elimination bout with the eventual champion Silas Young pinning King before pinning a hobbled Punishment Martinez to capture the title. King didn’t factor in to the decision that night and the manner in which he was eliminated awoke an angrier, more dangerous side of King! King has been chasing down Young and his alleys, Beer City Bruiser and Brian “Kingpin” Milonas around the country since losing the World Television title and even picked up a victory over Young in an impromptu six-man tag on ROH TV, teaming with Coast 2 Coast to defeat Young, Bruiser, and Milonas. But the trio led by the World Television Champion says they were not prepared for that six-man match and issued a challenge for a rematch at Manhattan Mayhem! King accepted and is willing to put himself behind the eight-ball in his own right to get another crack at this trio! Kenny King, who gets his very first one-on-one opportunity for the ROH World Television Championship against Silas Young THIS WEEKEND (weekend of February 24, 2018), wants to bring the fight to Young and is looking for revenge in the very building that Beer City Bruiser helped cost King the ROH World Television Title! The bad blood has been boiling between King and Young and this feud has gone beyond the World Television Championship! And the fans get to vote on who YOU want to see compete alongside King! Will the fans choose the ROH World Tag Team Champions The Motor City Machine Guns, a team looking to shake injury rust off less than a week before their defense against the Briscoes! 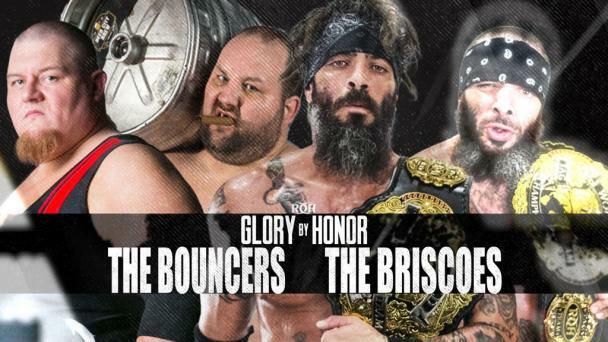 Will the fans choose The Briscoes, a team meaner and nastier than ever who are laser-focused on their opportunity to get “their property” back? Will the fans choose Coast 2 Coast, a team on an absolute tear since their career-defining win against War Machine and a team that has these three’s number? Would fans be bold enough to choose The Kingdom, a team that, on paper, seemingly, doesn’t share the same goals as King? 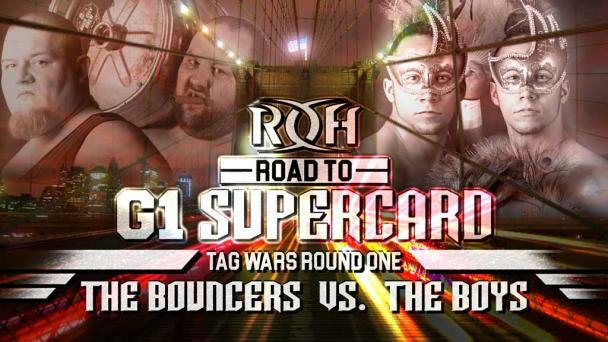 Or perhaps fans will choose Best Friends, one of the most popular teams ROH has ever seen? YOU get to decide who will get to be on #TeamKenny! The team that wins the fans vote will team with Kenny King while the remaining four teams will compete in a Four Corner Survival Tag Team match! 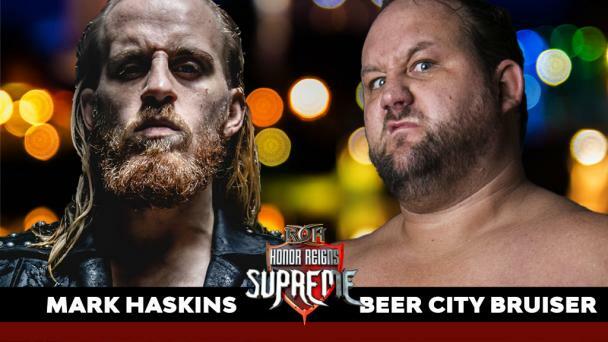 Become an HonorClub member to stream Manhattan Mayhem and all other ROH On Tour Events LIVE! Manhattan Mayhem has gained a reputation as an event full of surprises, with last year being no different! The Hardys shocked the world when they emerged from the darkness and defeated the Young Bucks for the ROH World Tag Team Championships! And LATER in the night, Bully Ray made his ROH debut when he saved the Briscoes from a Bullet Club beat down! This year, ROH will be pulling out all of the stops once again! Be sure to join us as we present THE EXPERIENCE at Manhattan Mayhem for HonorClub for all the action! 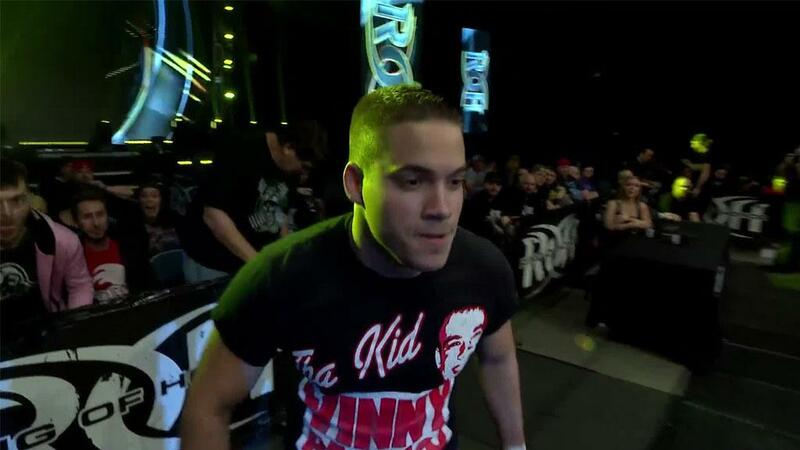 FLIP GORDON vs. “THE AMERICAN NIGHTMARE” CODY - FAN-VOTED STIPULATION! PUNISHMENT MARTINEZ vs. MEXICAN NATIONAL WELTERWEIGHT CHAMPION SOBERANO JR.
CAPRICE COLEMAN’S PULPIT – FANS PICK THE GUEST! Is This The Future On Saturday? The 2019 Crockett Cup is here and all the the hype has built to this moment.